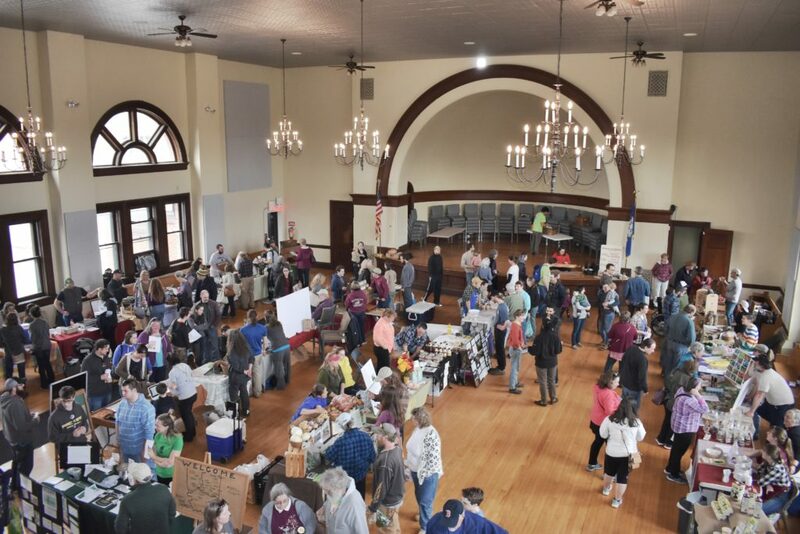 Now in its fourth season, this very successful event creates an opportunity for the community to meet local farmers from across Eastern CT (New London, Tolland and Windham Counties) and look ahead to the upcoming growing season. 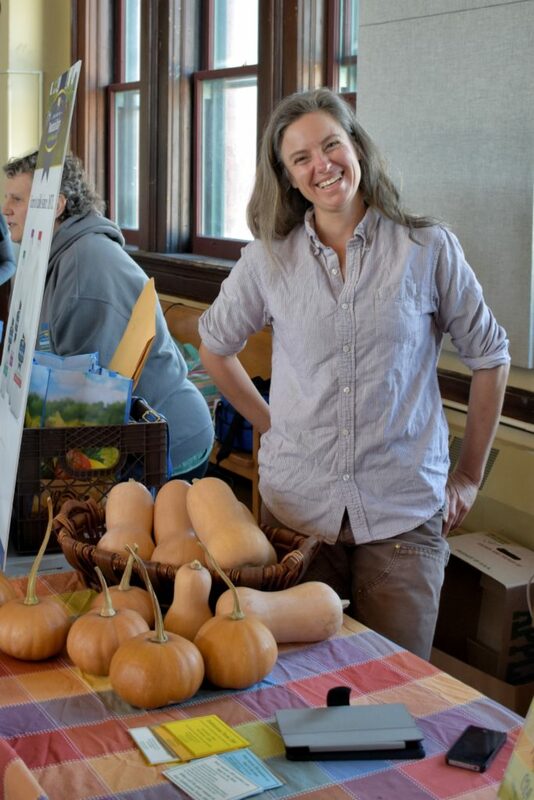 Residents can shop the farmer’s market as well as ask about local Community Supported Agriculture Programs (CSA), farm stands and pick-your-own opportunities. 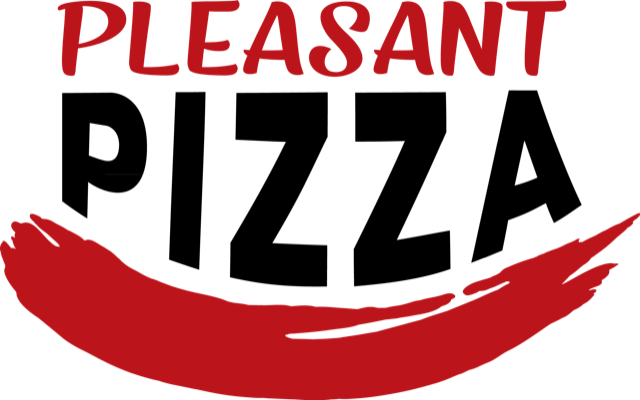 Chefs and merchants can meet farmers and make contacts for sourcing products for the 2019 growing season. Additionally, there will be food and farm products available for purchase, a seed swap table with the opportunity to get free seeds and participate in the Feed-A-Row for the hungry campaign, several 15 minute demonstrations on topics such as Seed Saving, Mushroom Growing, Bee Keeping and Fermentation and the chance to win raffle prizes by participating in a “Know Your Farmer” game. This event is free and open to the public. It is a kid friendly event. 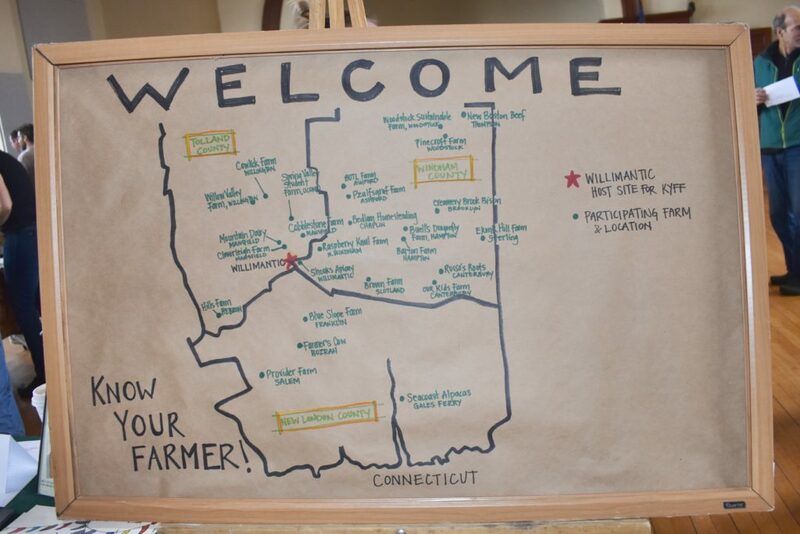 The Know Your Farmer Fair is a project of the Windham Community Food Network. 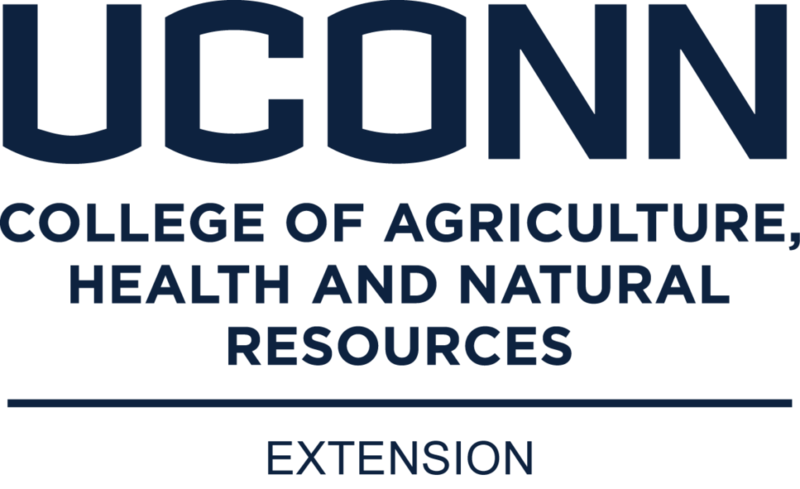 WCFN is a collaboration of merchants, farmers, organizations, and community members looking to meet local nutritional needs with local resources. 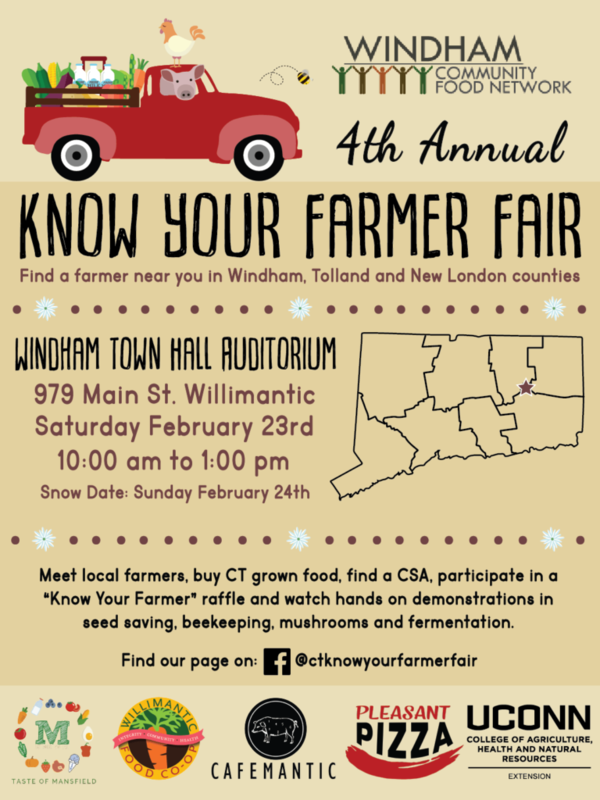 Windham Town Hall Auditorium is located at 979 Main Street, Willimantic CT. For more details about this event, see www.facebook.com/ctknowyourfarmerfair.